The best advice is often the simplest advice. Life is complex. So are techniques, skills, instructions, and many other things. After all the training you’ve done (or haven’t done)…the last thing you need is more things to confuse your brain and distract you from using your most natural weapon, INSTINCT. You’re there to attack, kill, destroy, win. Commit to having that mentality the whole time. Don’t go in with the “let’s see what happens first”…that’s exactly the kind of thing that makes you second guess yourself and increases your chances of losing. There’s a difference between being smart and being cautious. It’s ok to observe and think, but please—COMMIT! Land the punch, avoid the counter, move. You should be worrying about what you have to do rather than be worrying about getting hurt or other things. Don’t give yourself too many things to worry about. It’s really a waste of time/energy to worry about things that you cannot affect. Just attack, then move. The moment you stop to worry about getting hit, you’re probably gonna get hit. Every punch should have a breath. This makes you faster and more powerful. It also helps you relax and save energy while also helping you establish a rhythm. Keep in mind this is meant to a be a SMALL BREATH, not a loud huff and puff. Breathe when you block or run away or slip. Breathe every time you’re on the defensive so that your body can take full advantage of this “resting state”. Breathe in a relaxed manner, not a panicky manner. Running and jumping around wastes energy. Walking towards, away, or around your opponent will save lots of energy, exude confidence, and still make it easy for you to move in and out of range. You don’t have to walk, you can use whatever footwork movement you want but do it with the ATTITUDE of walking. No panicking, ok? It doesn’t matter whether it’s a jab, right hand, left hook, uppercut, head or body shot. Try to drive your elbow and snap your elbow into the punch. This simple tip makes it easy for your arm to have good punching form with your elbow supporting your wrist and transferring maximum power. Too many people worry about the fist position and launching the fist…but the fist is weakly supported and doesn’t transfer much energy unless the rest of the arm supports it. Avoid ducking your head under him or into his waist in a way where you can’t see his head. If you guys are too close and swinging wildly, try to grab him in order to find him. Some guys use the mentality of always being able to see his chest, this is ok, too. This tactics works well to wear him out and let him waste energy throwing punches with no leverage. He’ll also be wasting energy trying to regain his balance. Of course, you can’t just make it a sumo wrestling contest, you have to actually throw punches here and there when you do this. This tactic works best if you are bigger, taller, have stronger legs, or need a rest. Most fighters are one-handed or have one dominant hand that does all the damage. Pay attention only to that side and you will find that it’s almost impossible for him to hurt you. Quite often your opponent will stop using EITHER of his hands, when you take away his opportunities to use the strong hand. So simple and effective every time. The more tense and out-of-control the fight, the easier this trick will work. Another awesome article.. Thanks coach.!! It mean only to lean or throw inside punches at his body? I meant to put your body weight on him at times. You can lean forward onto him or you can press down on him from the top. Where you decide to punch from there is up to you. Can you hug the opponent? Doest it makes us imbalance or increase chances of getting hit . These tips are. really helpful.Im weak but when I’m mad I stiffen up and get strong.My friend might get into a fight with some tough guys and though I’m a girl,I wanna defend my friend.I don’t care if I get my but whooped as long as my friend is safe. About number 9… I would say, watch for the strong hand and leading (front) hook. This punch is sooo sneaky and dangerous. I would recommend just keeping your right plastered to your chin and getting back there after you punch also keep it there whenever you punch with your other hand. If he’s head hunting hold it high over your temple but it shouldn’t fall below your cheek bone unless your blocking a body shot. If you follow that religously you should block about 90% of the left hooks that come your way. Another tip is that if you go to parry or block a jab and it turns out to be a hook bring your arm out into the opponents and it should take some of the steam out of the shot. So I get bullyd and get beat up most people just throw crazy from the top what should I do. yeah, but what if your opponent is ambidextrous? Is the straight right the basic punch in boxing and right cross is used in advanced fighting. You said to use jab in the beginning of every combinations but I use don’t use jab after I stunned my opponent and it works. Is there any kinds of advantages or disadvantages in this style? 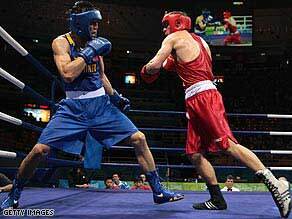 Both the straight right and right cross are used at all levels of boxing. Haha…if anything, I’d say the right cross is more common among beginners since they haven’t yet practiced the technique to throw really straight punches. You don’t always have to jab. Don’t worry about that. Do what works. Love the article per usual. There’s just so many things a boxer has to take account of. Simplification of the task at hand is key. I just printed the article off and will bring it to class tonight. Typically, the one that is registered and has competing fighters will be the gym with the better learning environment. But it’s important that you find a place that makes you feel comfortable while challenging you. Try out different places and see. It’s not a crime to go to 2 gyms at the same time. Thanks Johnny, i’ve learned alot comming to your site and i appreciate it. How to exhale without making any sound, when I exhale with my mouth I don’t get tired easily and punch is stronger. but if I have to exhale and inhale only with my nose, its very difficult to breathe and my punch is weak. is it a good practice to make that hissing sound while punching? my coach says no to that sound. I can say from experience that different types of exhaling definitely effects the punch. I think that if you want to get out a really fast combo, like a quick jab-jab-cross for example, you should breathe the way that Johnny recommends as it allows you to finish a whole combo on one breath. However if you are going for a power punch i recommend breathing very explosively from your nose it adds more power. At first it will be like breathing though a straw and not very powerful but with time and if you practice breathing out your nose as hard as you can, then it will definitely help. That’s just the way I do it and it works. I wander if Johnny agrees? I agree with the logic, I’m not sure I agree with the statement. My breathing has evolved a bit over the years and I’m not sure that I know what the final answer is. I used to believe in exhaling from the nose because you push out the air more powerfully. But after doing some thinking, I felt that the “explosiveness” in the breathing comes from the STOPPING of the air rather than the pushing of the air. And therefore, I went back to exhaling from the mouth because that stops the air more explosively than the nose does. Either way, it’s up to you. Are you thing about having another boxing clinc soon? I don’t have any plans for the moment…I suppose I could put one together in August if enough people demanded it. There have been several others asking me the same thing lately. When I started focussing my punches on my hips and elbows my punches got so much better. I also found myself relaxing more when driving the elbow instead of the fist. Funny what small stuff makes a huge difference just with a different outlook. 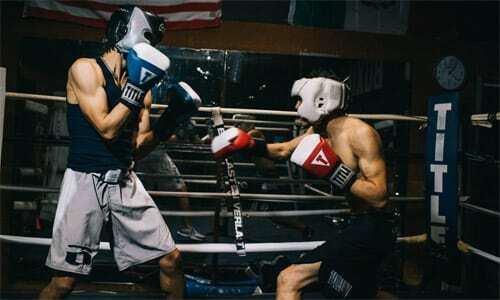 hi johnny, i started boxing a year and a half ago had 4 fights 4 wins, and i have to say your tips are game changers , my coach has always said my straight punches are brilliant but my hooks are a weakness and no matter how i tried to train i just couldn’t perfect the hook, but i read that tip to throw the elbow and not the hand and in 1 training session bang my hooks are perfect and take a lot less energy to throw, all your tips are fantastic its the subtle things that make all the difference, you’ve helped me and i appreciate you sharing your knowledge my friend. I feel I made significant improvement from the first fight to the second personally especially as the first guy threw with no real skill. Any comments welcome, both positive and negative as I really want to push on and improve next year so I will take everything on board. Forgot to say.. I’m in red both times! Great tips! 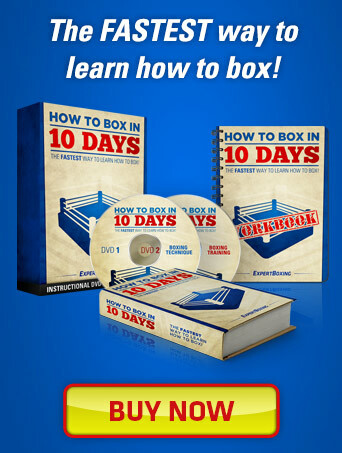 I especially like the most basic tips… So many fighters forget those!! I tried several times to buy your product . I shows ‘unable to verify’ kind of information. Pls guide me to buy. Hi Shiva, please contact me directly. I find on nights, after hard sparring I suffer anxiety and panic (adrenaline rushes) sometimes. 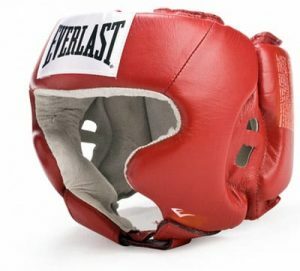 If I have hard sparring(usually body) the next day the night before my nerves are all over also sometimes.am I out of my depth? I’m a beginner/amateur at Best but I do hold my own movement thinking have other guys on the back foot etc but sometimes I dunno…am I getting too competitive for my own good? Boxing is just a competitive hobby for me. I read about Ricky Hatton winning a fight that was tough , but he says later that night after the win he was in a bad way shaking and what not. I think maybe the pro’s go through this but it’s all kept quiet? Fear, body in fight or flight mode etc panic , all this stuff do you have any articles about this? I thought it might just me be but after I saw Ricky Hatton mention I thought maybe it not?? Hopefully you can provide some insight. AJ, I have a sub-category with articles specifically for mental training and strengthening your mind. Scroll down to the bottom of the site and click on “Mental Training”. Thanks for the reply Johnny! Your mental state is Profound, in summary, embrace the fact that you can learn from winning and loosing. ..the old adage that we are all both Teachers and Students. ..listen, practice and teach / embrace both mental & physical training. .yes training both body and mind. .discipline within (thinking, thoughts) and without, body care/ training. .In conclusion and summary. .Think, with a positive vision and focus, and never give up on hope, moreover your dreams and aspirations. .THINK, CHAMP,..sincerely wishing you all the very best during your life’s journey, keep moving forward,enjoyyour journeys folks. Sir I m Anupam Choudhary aged 15 , from India. I m in class 10 but I have some bullies who r taller than me. They hit me and run away. One day I caught one of them, and tried 1-2-3-2 on him. His nose and mouth starred bleeding. So how can I deal with taller ones? Plz help.me. As always, I love your post. This, especially for Amateur Boxers, is so important. An Amateur Bout, if you try to think too much, is over before you know it. 3 Rounds can be strategically made to seem longer (but you have to know what you’re doing and have the endurance); or, on the other hand, if you think too much and just try to play it safe, you may finish on your feet and it will be over before you know it, but you will never win this way! But back to this article. There are very simple things he mentions that will help in your success. Basically, use the proper technique that you’ve trained for (fight and throw punches w confidence and good defense, breath, don’t waste energy, circle and use feints). In a nutshell, if you have been trained properly and have the endurance, you don’t have to over think your way to a loss. If you have trained and practiced the things that you may have thought we boring or unnecessary at the time, you won’t have to think. Your mind and body come together and you will react off instinct. I remember the first fight I entered. I was scared as hell! But I simply fought! And won! All the thinking from all of the training was turned into instinct and reaction. I fell in love. 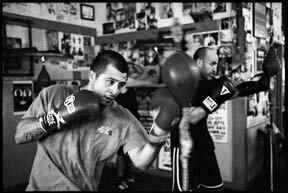 Boxing gave me a place to forget about all of my problems (bc if you are dwelling on outside issues, you might get laid out while thinking). i tried to remember this but i still got knocked the hell out.